Nothing beats collaborative teamwork to get projects done on time and on budget. That’s why your Collaboration environment can now be turbocharged for projects with Kudos Boards; the visually fun, rewarding and real-time Kanban, sticky-note approach to collaborative teamwork! Intuitive to learn and easy to master, Kudos Boards brings visual collaboration and team projects to IBM Connections and Watson Workspace. Create Boards for just about anything: Sales Tracking, Event Management, Customer Support, Agile Projects, Employee Onboarding, Billing Cycles and other Admin processes, the list is endless. Simply drag and drop tasks, lists, append files and even link with additional boards to empower and organise a team with instantaneous access to progress updates - wherever in the world they may be. Seamlessly integrated with Communities, Files, Activity Streams, Workspaces for both On-Premises and Cloud, Boards is the team collaboration tool that makes work intuitive and easy. Turbocharge your Collaboration investment! Kudos Boards gives you the freedom to organize tasks and teamwork the way that suits your project and workplace environment. Create lists based on task at hand, to-do and completed? per-project or per day, week or month? The choice is entirely up to you. 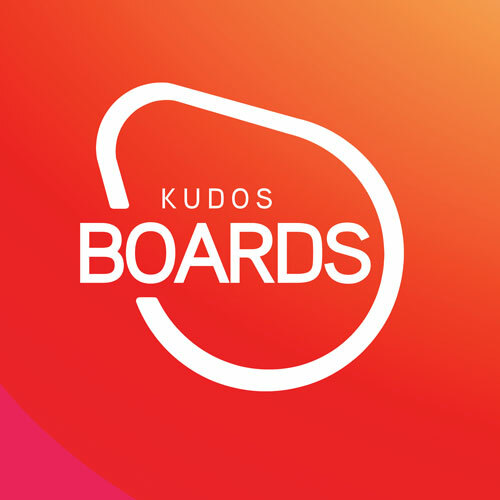 Kudos Boards updates in real time across multiple users. You can literally see the information update from another user on your screen, including when they drag and drop items from one list to another, such as moving a task card from the 'to-do' list to 'completed'. Are some teammates avid Activity users? Or have you got a heap of legacy Activities that already exist? Kudos Boards can convert any existing Connections Activity to a Kudos Board, and continues to sync data between the two interfaces so that you and your team never lose or have to recreate project tasks again. In our new timeline view you get the perfect overview of your product. Perfect for project planning and monitoring deadlines. See exactly who does what and when and keep track on your project in real time. Drag and drop tasks, tags and people directly in the calendar view. In our new Mindmap view you get the perfect overview of your product. Start on a blank canvas and build up your project as if you had post-it notes on a whiteboard. Move your tasks around with easy drag-and drop. Or simply view your traditional board in the Mindmap view to get an excellent view of your tasks. Apps are available for iOS and Android to access your Kudos Boards while on the go, for both On-Premise and Cloud customers. Kudos Boards Cloud is available for IBM Connections Cloud NOW! Try Boards For IBM Connections Cloud NOW! Add Kudos Boards to your Connections Cloud Org instantly. Click Start Free Trial to get started immediately!